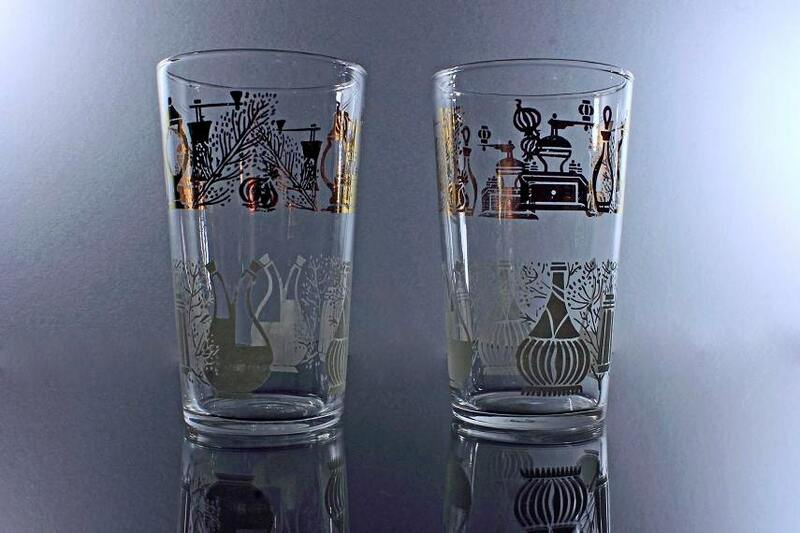 A set of two, 10-ounce tumblers in a white and gold pattern from Federal Glass Co. 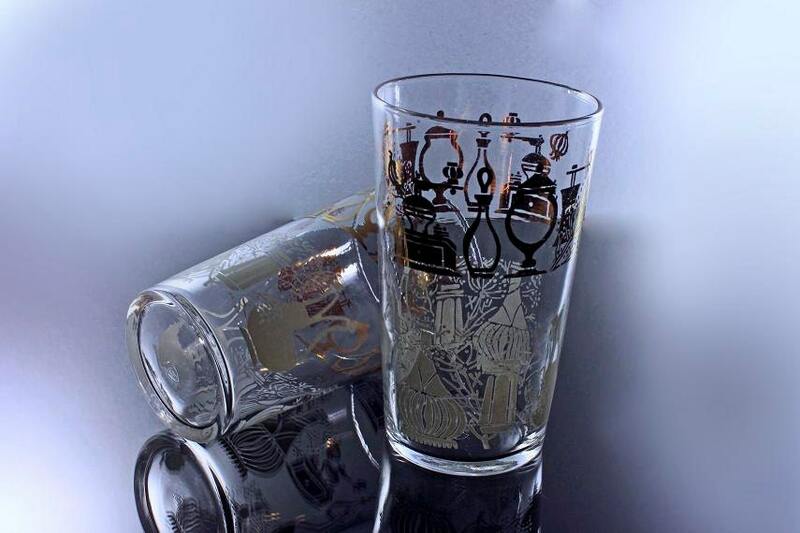 These glasses have very pretty gold vessels near the top of the glass and white ones near the bottom. A perfect set to grace your dinner table or home bar. The Federal Glass Company started in 1900 in Columbus, Ohio by George and Robert Beatty. 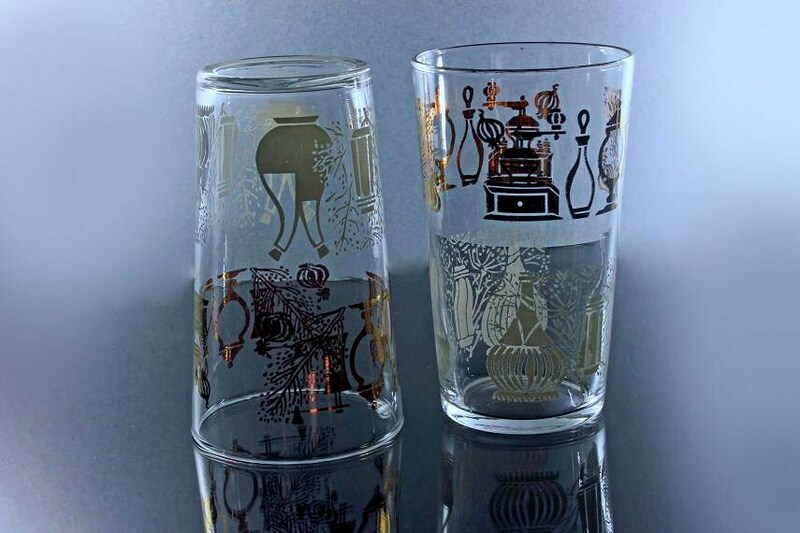 The company made many different types of glassware. They are noted for their depression glass. The company closed in 1979. 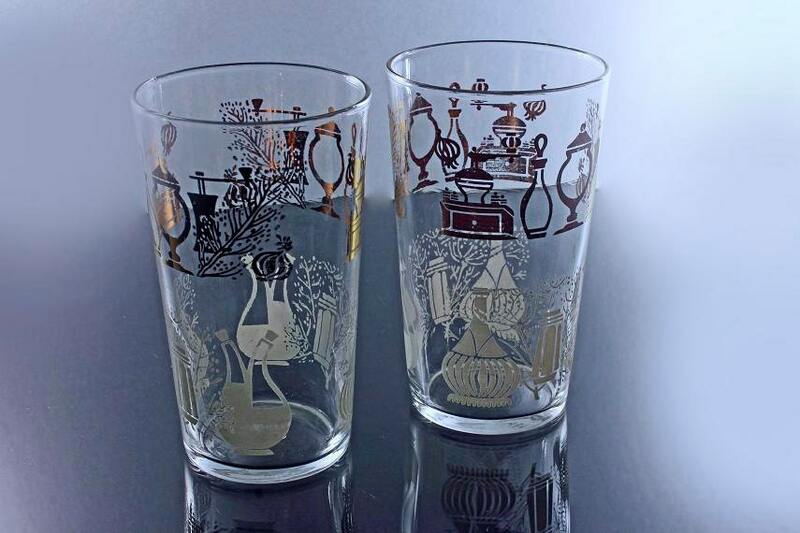 These are vintage tumblers and they are in excellent condition. There are no chips or cracks. The pattern on the glasses is flawless. These would make a great gift for a wedding, housewarming, holiday, or special occasion. 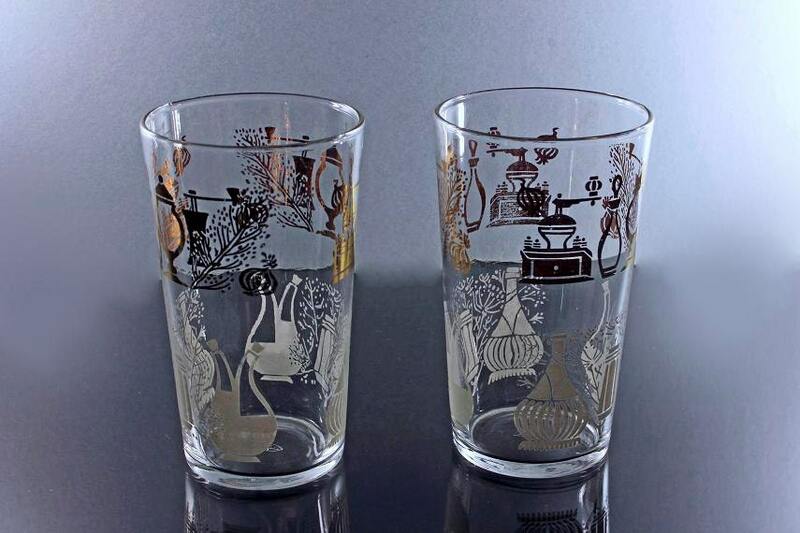 Or a great addition to your own kitchen or barware.